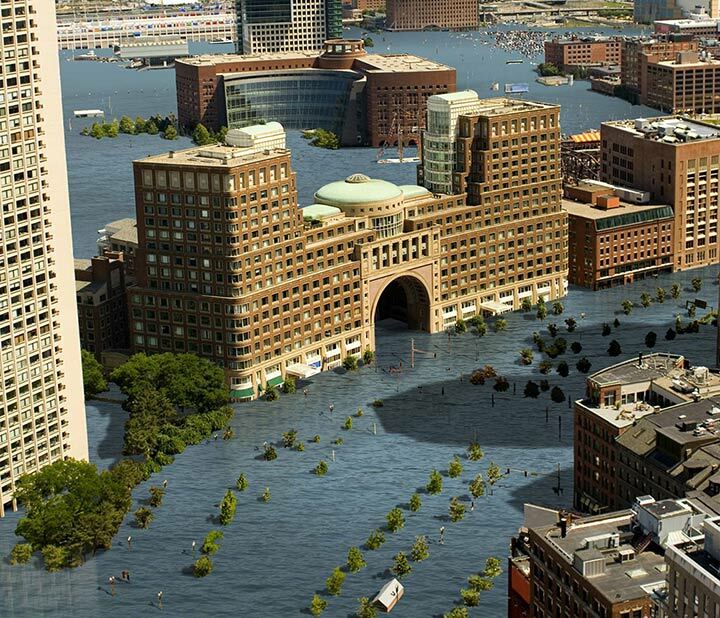 Though Mayor Menino is surely missed in Boston, his presence was felt strongly at the Sea Level Rise and the Future of Coastal Cities meeting at Boston University last week. Most speakers credited Mayor Menino for bringing them together to engage in the topic of how climate change and the resulting sea level rise will affect cites across the world. City officials from Helsinki to Melbourne came to collaborate and learn about what cities are doing to increase their resilience to protect their communities with smart design choices involving government, urban planners, developers, the private business sector, academia and scientists. Erika Spanger-Siegfried from the Union of Concerned Scientists explains in a video shown shown at the event that extensive research shows that over the next 30 years, sea levels will increase up to a foot or more in some east coast locations and that when storms occur on top of already typical tidal flooding, higher tides will magnify the risk of severe coastal events. *The computer enhanced photo on this page is from a prediction project of the collapse of the Western Antarctic glaciers from Climate Central. 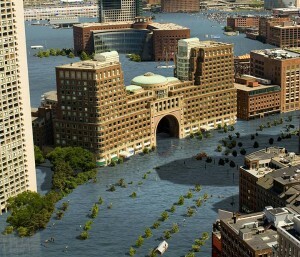 Yes, that is the Boston Harbor Hotel. Check out the rest of the photorealistic work depicting iconic places around the globe (and maybe where you live) by photographer Nickolay Lamm.